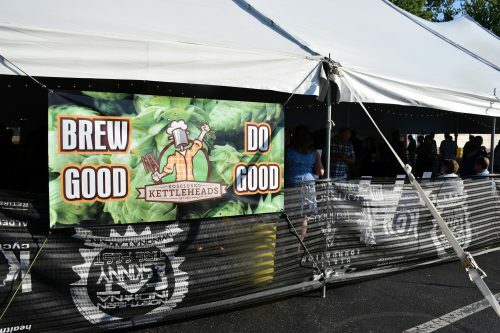 WARSAW — The Kosciusko Kettleheads held their sixth annual Homebrew Fest on Saturday, June 25. 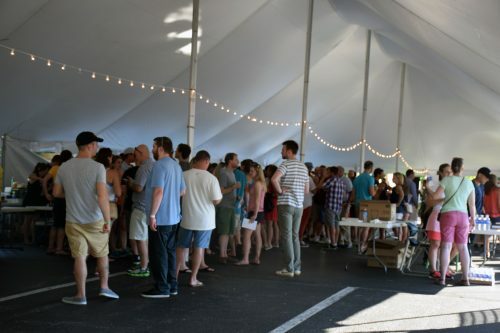 The tent was full at Cerulean Gardens, Winona Lake all night as people came to drink home-brewed craft beer and support a good cause, Combined Community Services. Twenty brewers, all residing in Kosciusko County, brought 40 different craft beers out for the cause. Additional beers were provided for the VIP tent. The brews ranged in flavors from Mint Chocolate Chip Stout to Sour Blueberry Cider with alcohol content ranging from three percent to 12 percent. Each brewer brought anywhere from five to 20 gallons of their beer to the event. 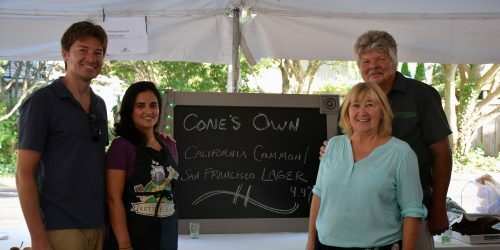 Last year the Homebrew Fest raised $20,000 for Combined Community Services and the hope was to raise even more money this year. The fest raises money through admission costs to the event, donations and a silent auction. Combined Community Services will use the funds for the organization’s energy assistance program and the organization’s food pantry. The night was a hit as attendees were able to taste the large selection of beers and chat with the residents who created them. Attendees were able to vote for their favorite brew by dropping a washer into a jar on the brewers table. The winning brew of the night took home a traveling trophy. “This is just a really fun night because you get to taste what all the guys in Kosciusko County are brewing,” said Caleb France. The winning brew and total funds raised were yet to be determined at the time of publication. A later update will be provided. All of the money raised from the event went to Combined Community Services. The tent was full as the warm weather brought over 350 people out to the event.